The human body contains millions of cells that rely on healthy nutrition like proteins, vitamins and minerals. While the body can create some of these nutrients, it also requires essential vitamins and minerals from food sources. Every living organism depends on its cells to function normally. 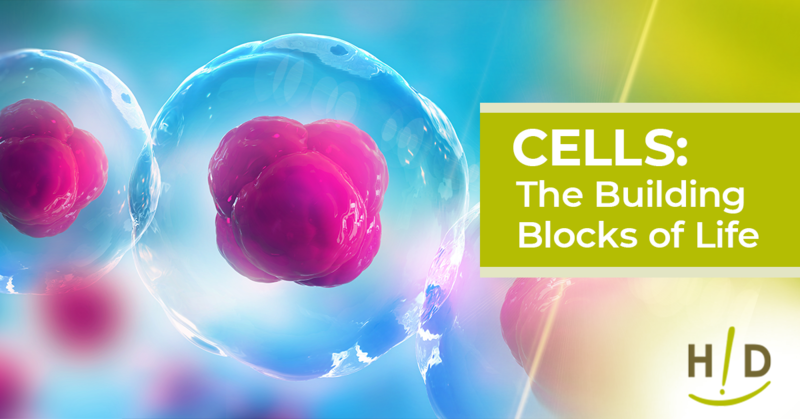 Often referred to as “the building blocks of life,” cells are the biological, structural and functional units that carry out tasks in an organism. A collection of cells working together is called a tissue, while a series of tissues performing organized functions are called organs. The human body contains trillions of cells, all with varying tasks that help support bodily organs; these include skin cells, nerve cells, blood cells, barrier function cells (supporting the lungs, gut) and more. Cells rely on good nutrition for energy production and to prevent oxidative damage. Cells in the human body are so tiny that they are invisible to the naked eye–cells range in size from 1 to 100 micrometers. Even the largest type, the fertilized egg, requires the use of a microscope to see. They also have differing lifespans depending on their type and function: Some digestion-related cells can live for a few days while pancreatic cells can live up to a year. Cell membrane: The semipermeable membrane surrounding the cytoplasm of a cell. Contains receptors that identify the cell to other cells and allow some substances through while keeping others out. Cytoplasm: The thick substances between the cell membrane and the nucleus, containing the cytosol, organelles, cytoskeleton and various particles, that consume and transform energy and perform the cell’s functions. 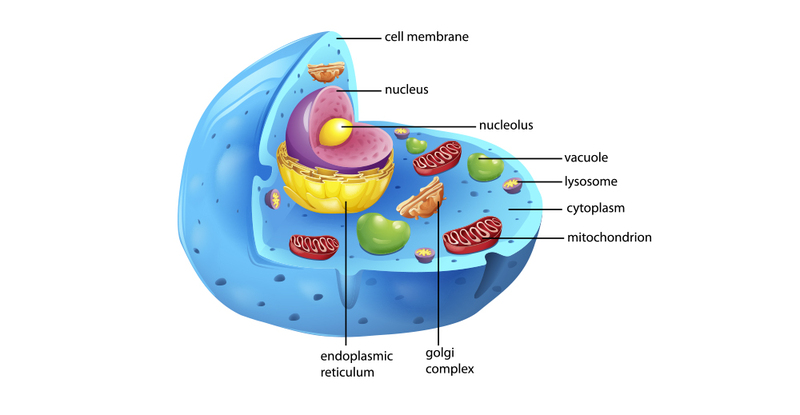 Mitochondria: Tiny structures inside every cell that provide the cell with energy. If you were to look at two cells–one healthy and one unhealthy—under a microscope, you might notice that the healthy cell has an intact, sharp outline of the cell membrane and its inner parts (the nucleus and cytoplasm) are clearly defined. An unhealthy cell, on the other hand, would look swollen, have a blurry outline of the cell membrane and its insides would be misshapen. A healthy cell is able to carry out its normal function by producing clean energy and efficiently ridding itself of waste, while an unhealthy cell cannot produce clean energy or cleanse itself of toxins. Healthy cells become damaged when there is an imbalance of free radicals and antioxidants in the body. This imbalance is called oxidative stress. Toxins enter the body from varying factors, causing free radicals to penetrate into the cell and cause damage to all its components, including proteins, fats and DNA. The damaged cells are associated with signs of aging, affecting the brain, skin and other organs in the body. Cells actually have a self-destruct mechanism within a process called apoptosis. But when apoptosis isn’t working properly, cells can become cancerous and spread to other parts of the body. Studies show that an imbalanced metabolism is a precursor for neurodegenerative diseases such as Alzheimer’s and Parkinson’s as well as many other neural conditions. In order to produce energy to carry out their tasks and also protect your DNA from free radical damage, your cells need important nutrients. 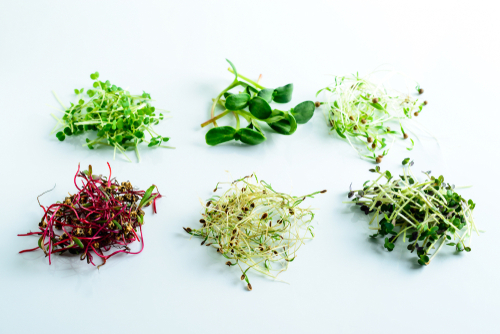 Let’s take a look at a few nutrients and how each specifically helps your cells. Proteins are macronutrients found around the cell, inside the cell and on the cell membrane. Outside of the cell, proteins are part of your bones and soft tissue and help maintain their structures. Inside the cell, proteins act as enzymes responsible for energy production, help protect the cell from DNA damage caused by oxidative stress and, with fats, constitute the structural support of the cell membrane. Proteins that support the cell membrane are vital for the normal functioning of the whole body, helping communicate messages between cells and providing attachment sites where cells can connect with surrounding structures (example: bone cells attach to the bone matrix via proteins on the cell membrane). B vitamins are water-soluble nutrients that support the energy production of cells. Research shows that B vitamins, such as B1, B2, B3, B5 and B6, have specific roles in the mitochondria to support energy metabolism, that is, how your cells break down nutrients into energy your cells can use throughout the body. Omega-3 fats build and support the cell membrane and affect the function of cell receptors, which help create hormones that help with blood clotting, contracting and relaxing of artery walls and inflammation. These fats also bind to receptors in cells that help to regulate genetic function, which may be why those with diets high in omega-3s are linked to a lower risk of heart disease and stroke, as well as increased protection against some forms of cancer. Vitamin E is a powerful antioxidant that protects the fat and protein components in the cell membranes from oxidative damage. Because of its ability to combat free radicals, vitamin E may help protect against heart disease, cancer and eye disorders. Studies also show the importance of vitamin E in brain function: a healthy intake of the nutrient can prevent or slow the rate of cognitive decline as the brain ages. Vitamin C plays an important role in keeping the cell membrane and mitochondria healthy by recycling vitamin E back to an active form. As mentioned above, vitamin E is an extremely vital source of antioxidants that help keep cells healthy. Vitamin C is also vital to your immune system. Your white blood cells contain high levels of vitamin C to kill bacteria and disable viruses by literally eating them up (phagocytosis). Food is energy, literally. Healthy nutrition goes straight to the cells of your body to help maintain normal functioning and protect your body from toxins. 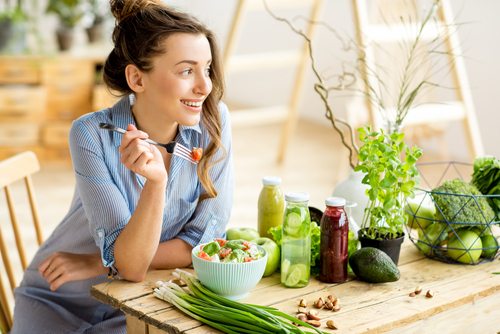 The Hallelujah Diet is a plant-based diet that helps ensure you get the nutrients your body needs to promote overall health by accessing your own body’s healing abilities. Nutrients like protein, healthy fats and antioxidants can rejuvenate your cells and give you the energy your body needs. Thank your excellent findings on human body. I just wanted to thank you for such a good, informative article. This is a good explanation of how the health of our cells effects the health of the rest of the body. A healthy cell is able to carry out its normal function by producing clean energy and efficiently ridding itself of waste, while an unhealthy cell cannot produce clean energy or cleanse itself of toxins. I also appreciate the information about what nutrients our cells need and what food sources provide those nutrients. THANK YOU FOR GOING BACK TO BLACK TEXT INSTEAD OF GREEN. I CAN SEE MUCH BETTER NOW! This is one of the most perfect detailed blogs we have had. Everything is explained so well and simply. So very important the we eat the right foods to feed our cells the nutrition it needs to keep us going for as many good and healthy years as possible. Thank you so much for this information…not a biology class..a how to live class. BIG DIFFERENCE. Send me information on this product please! Evelyn, Hallelujah Diet has numerous nourishing supplements on their shopping site HERE. 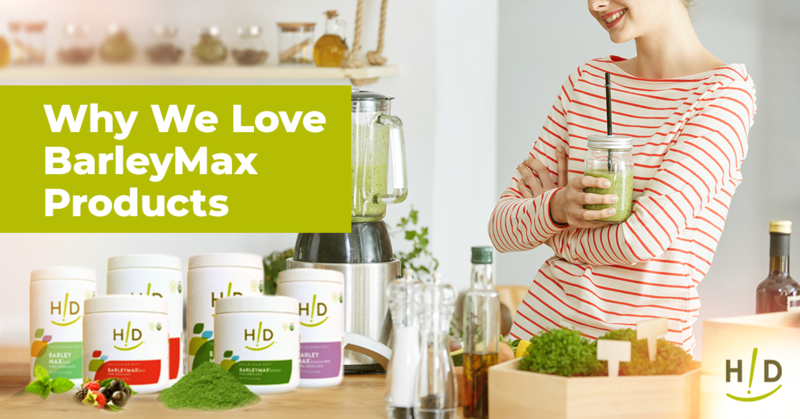 Their flagship product is BarleyMax.